What’s the first thing that comes to your mind when you hear the name Jonah Hill? We’re thinking of Wolf of Wall Street and a specific scene there. But, now, after seeing these picture, “perfect biceps” might come to mind. The Oscar-nominated actor was last photographed leaving a Los Angeles gym on Friday afternoon. What we can all notice is his superbuff look. Jona’s biceps are something to feast your eyes on these days. He was wearing a navy blue tank top, paired with black shorts, high socks and tennis shoes. 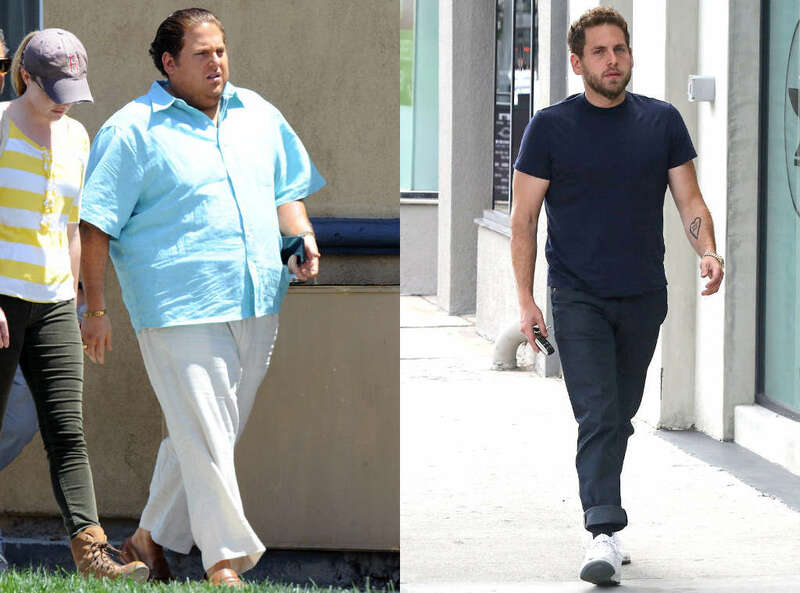 You have probably seen Jonah in so many “forms”, let’s say that you’re wondering, “who is he, for real?” I mean, from the fatty Superbad character to the not so fatty millionaire in The Wolf of Wall Street, you could have witnessed his fluctuating figure. He might be an artist of weight loss and gain. 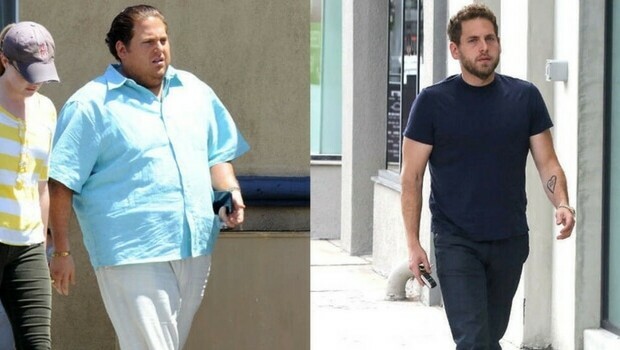 After gaining 40 lb.s for 2015’s War Dogs, Hill recruited his 22 Jump Street co-star for some fitness and nutrition tips. “I gained weight for this movie War Dogs, and then I wanted to get in better shape, so I called Channing Tatum, and said, ‘Hey, if I ate less and go to a trainer, will I get in better shape? '” the comedian shared on The Tonight Show. To which he said the Magic Mike actor responded, “Yes, you dumb motherf–ker, of course you will, it’s the simplest thing in the entire world.